A few days ago, I heard a woman say something so simple yet so profound. She said, ” This makes me happy.” It struck me instantly how amazing these few words strung together really are. I found myself smiling at the knowledge this woman shared outwardly. So often we deny ourselves the emotion of just being happy. To realize in the exact moment of happiness what it is that makes us feel this way is truly wonderful. The comment led to a lovely conversation with my boss (and friend) as to how this comment made us feel upon hearing the woman say such a sentence. We both had a similar reaction of joy. 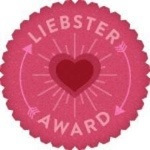 A heartfelt outpouring of words that made us relish the moment and reflect. To be so in touch with a moment in time and our own reaction to it is in its essence very grounding. 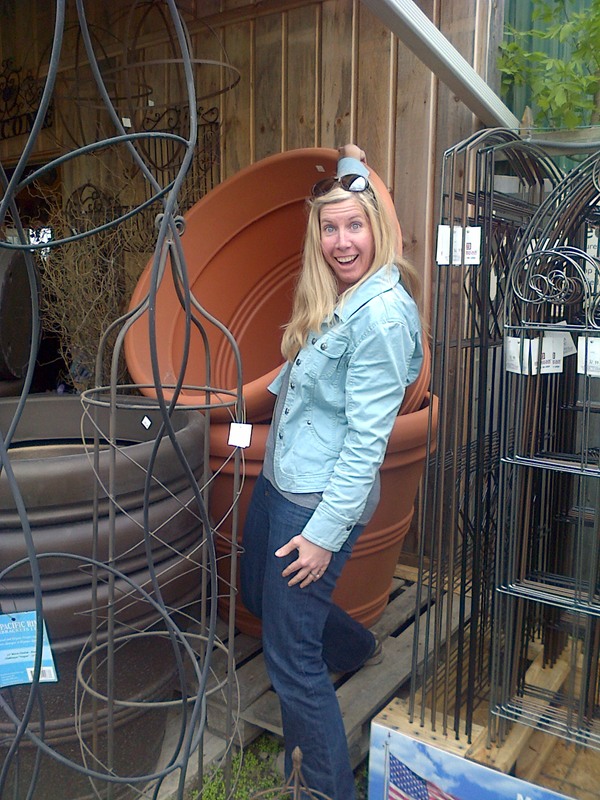 Last weekend my sister and I hit some garden centres where we came across this gigantic flower-pot. If it helps to set the scene, I’m 5’9″ so this is a pretty tall vessel for plant material! I have a similar one that is a smidgen smaller but this one was seriously big enough to immerse myself in should I so choose. If I didn’t think my sister would have been embarrassed I probably would have climbed in to test my theory. Happiness is those small blips that make your Soul feel uplifted, whatever the cause. This moment was a blip in my day…although just being with my sister makes me incredibly happy in itself. Although I am acting like a dork, I’m happy! What makes you happy? Is there a moment you remember thinking “this makes me happy”?